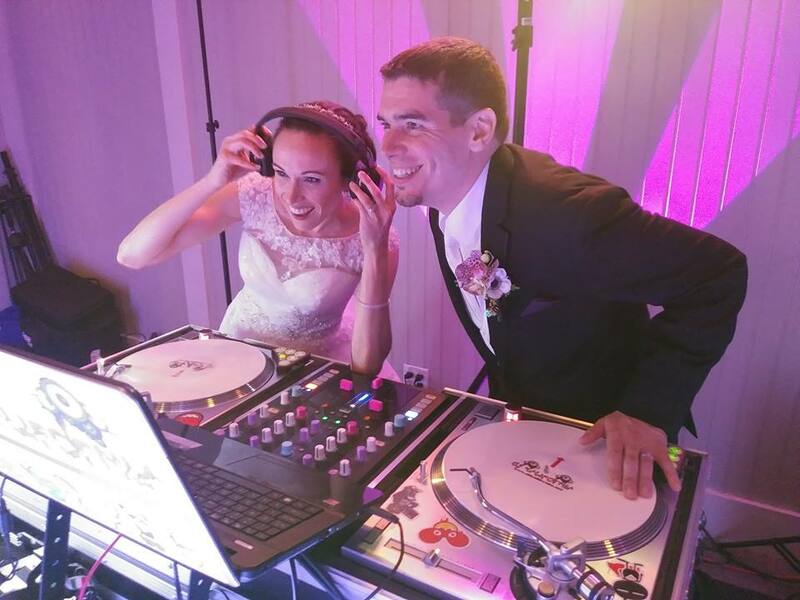 Last night, we had an incredible time as the Rochester DJ and wedding vendor of choice for the Camp Wedding! 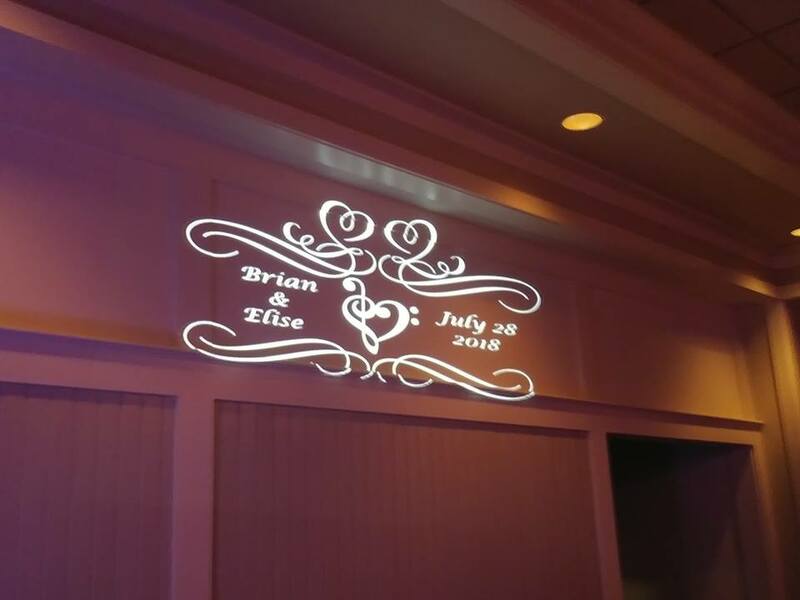 This was a unique one, to say the least. 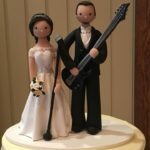 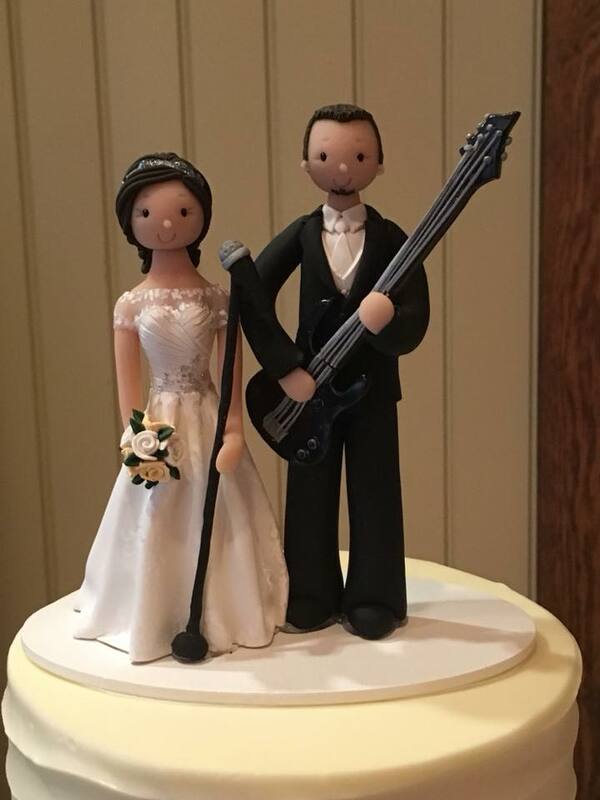 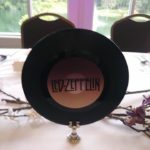 We met with the couple almost a couple of years ago and right off the bat, we realized that they were very much in tune with classic rock music, such as The Beatles, Led Zepplin, Queen, etc. 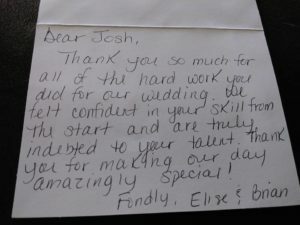 knowing this also meant that this was going to be a Rochester wedding that was a bit outside of the norm, but we were up for the challenge and had an excellent time playing through out the night. 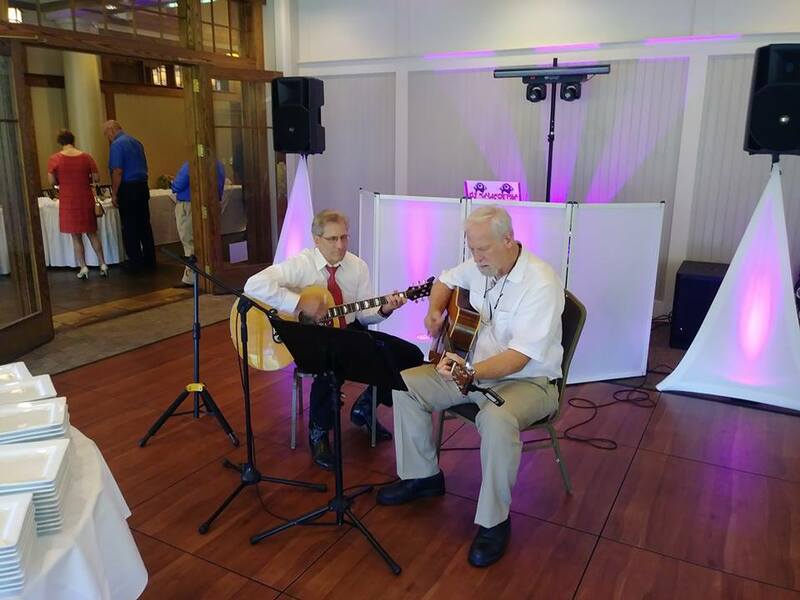 It was held at a venue that we have played at many times before and are a preferred vendor for. 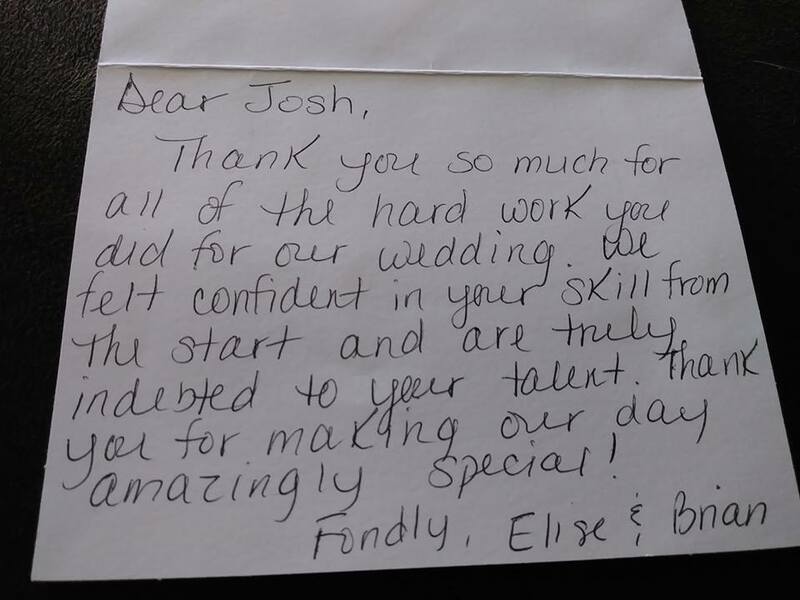 We also got to work with the officiant who has us as her preferred vendor and vice versa! 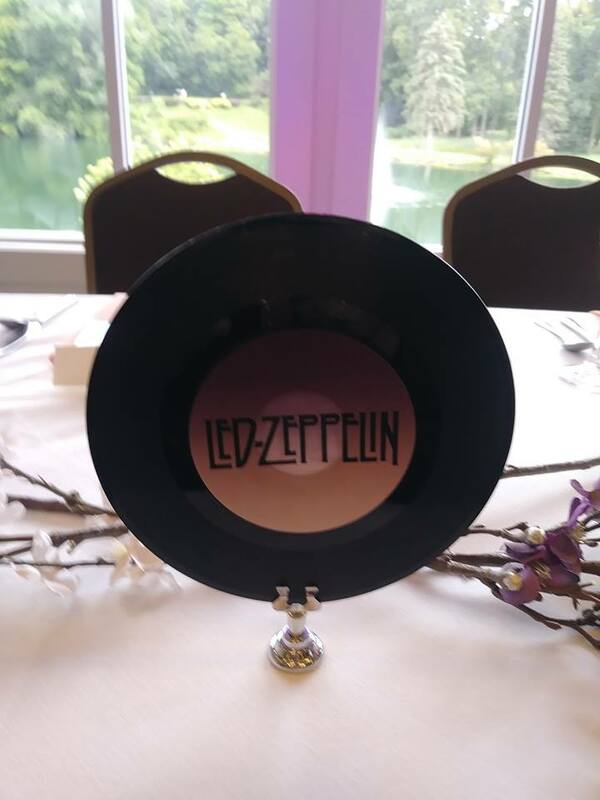 The night was a lot of fun, the guests had a ton of energy and even with the unique tastes in music, the dance floor stayed consistently full until the very last minute. 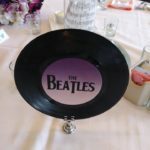 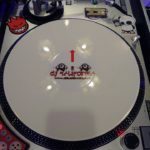 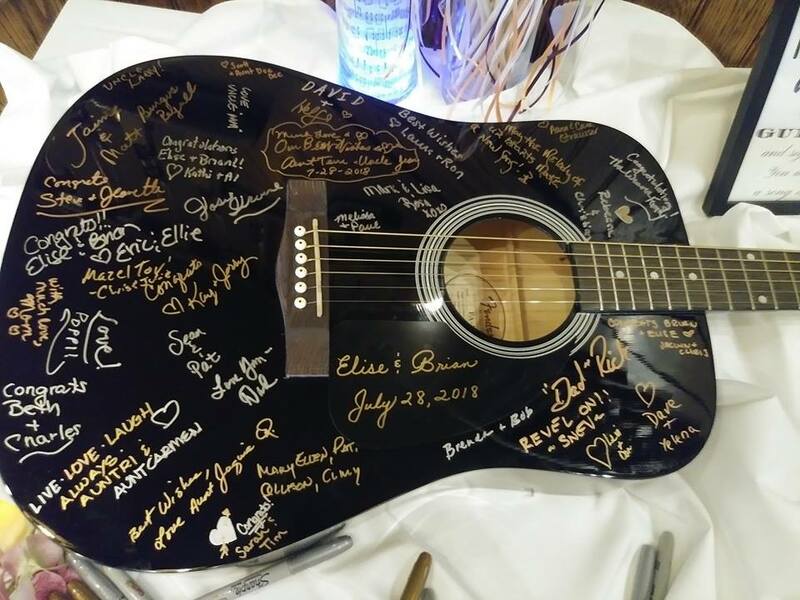 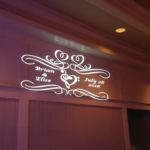 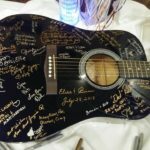 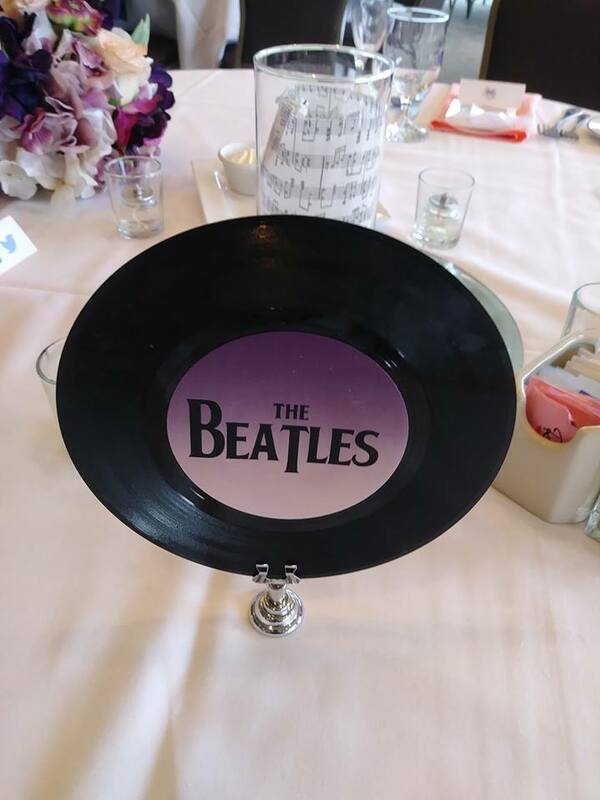 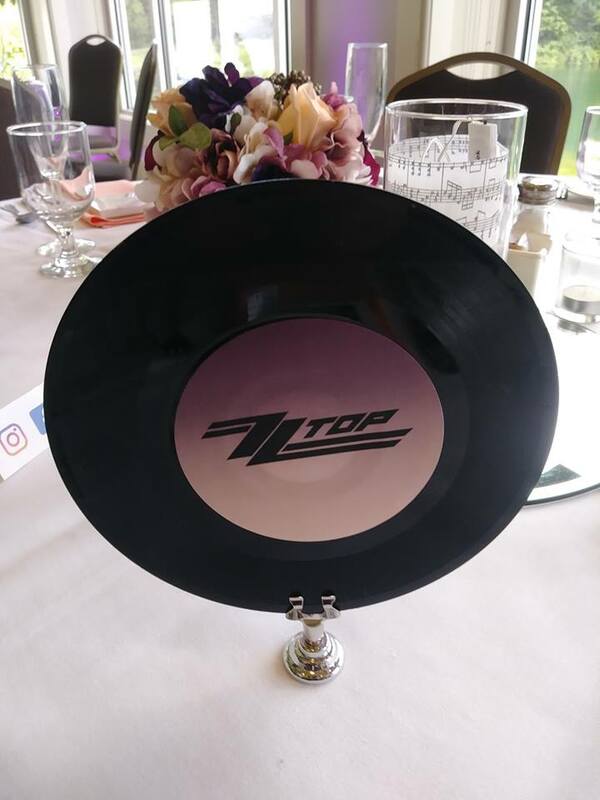 Since this was a music themed wedding that incorporated a lot of different aspects of music culture, we wanted to make sure to have certain elements that showcased this type of theme. 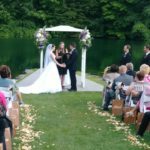 Check out the details below of the Camp Wedding. 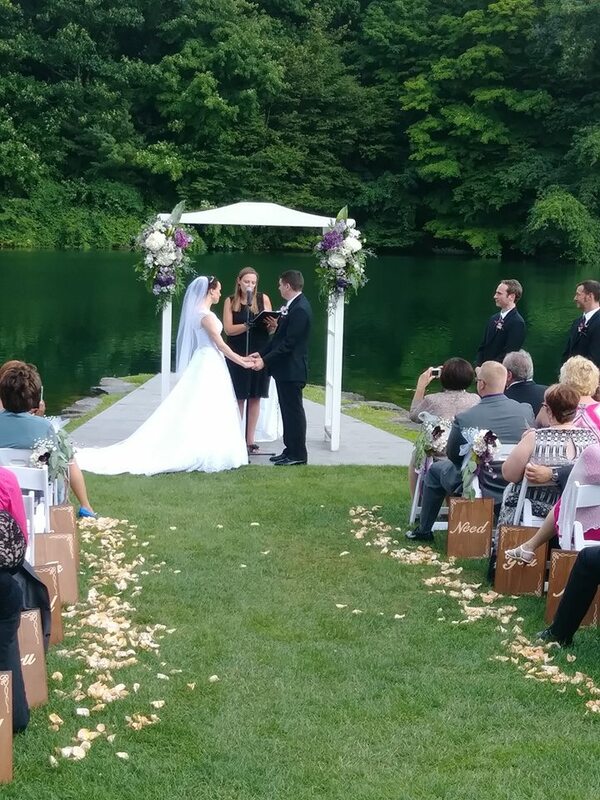 Like what you saw here for the Camp Wedding? 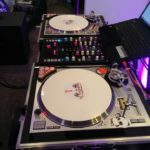 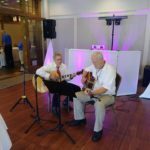 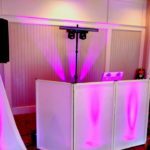 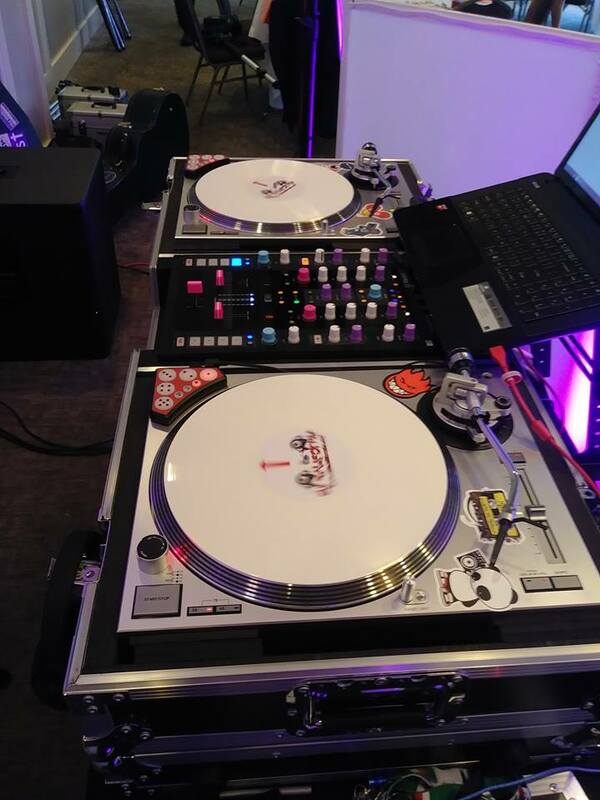 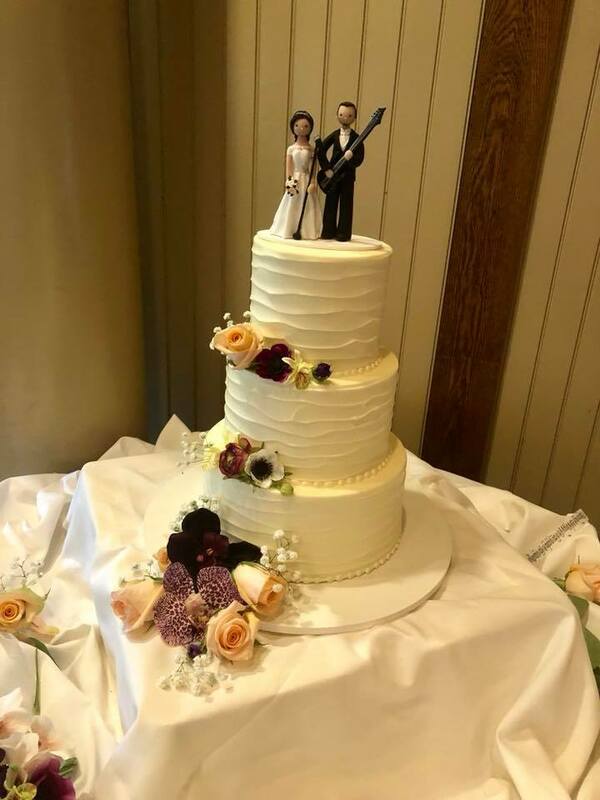 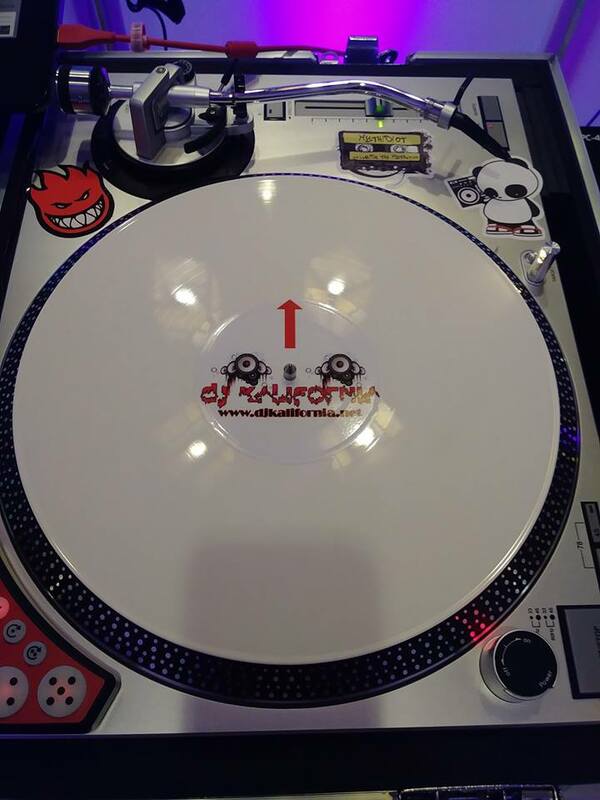 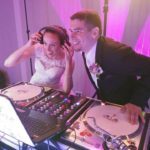 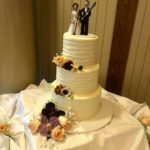 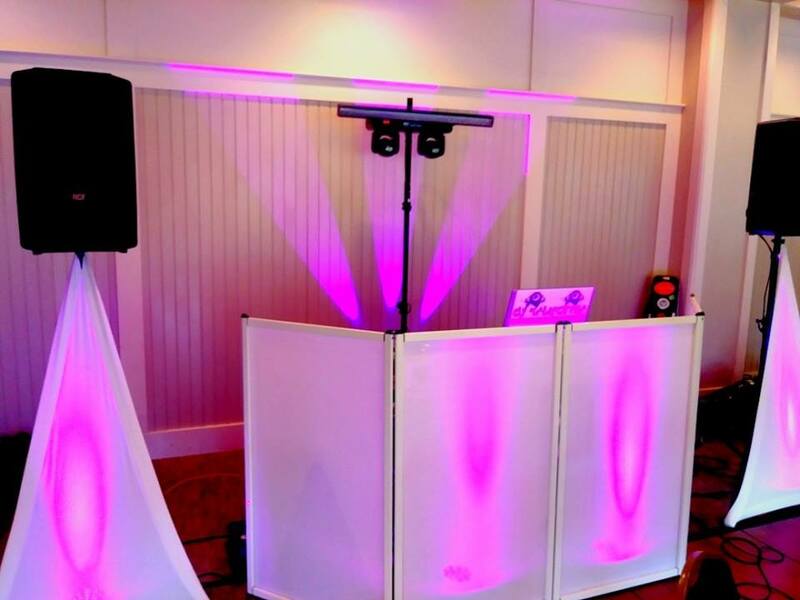 Want to learn more about how Kalifornia Entertainment is the absolute best Rochester DJ and wedding or event entertainment for you? 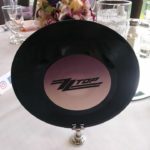 Fill out this inquiry form with all of your details, and we will get back to you right away!